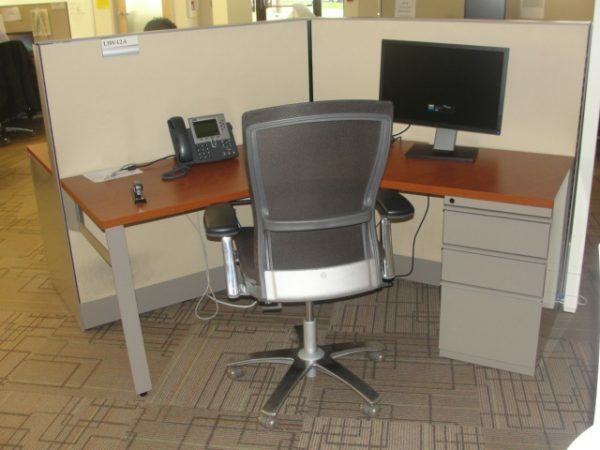 Knoll workstations with 120 degree panel connections. Very clean single station cubicles with wood grain worksurface, end panel and BBF supports. Panels are powered and 50″ in height.